How to settle financial issues when divorcing.When trying to handle a divorce without a solicitor you need to know how to settle financial issues when divorcing, as you could find yourself in real difficulty in the future if you get it wrong. Michael Brennan, a specialist family financial remedies solicitor at Stonehewer Moss, Cheshire, has experience of the past quarter of a century and has analysed the latest government statistics about family law cases reaching Court, that suggest it will not be long before up to 90% of divorces may not properly settle the financial side of a divorce. Michael says, “The Courts statistics suggest something like 10% of divorce petitions are currently accompanied by a disputed financial cases, with perhaps another 20% reaching agreement and requesting Court approval; I suspect that extra 20% in most cases will usually involve professional representation by a solicitor. More and more people are trying to deal with divorce without a representative, running significant risks because there is a technical side to divorce that unqualified litigants in person must struggle to resolve with their ex. often a solicitor could be instructed to resolve finances at a fixed fee that need not be disproportionate to the financial risk being run”. The divorce petition has tick boxes on it about financial remedies, always tick those that relate to assets the to of you possess. As upsetting as your ex may find this part of the petition, ticking the box saves work in the future and protects some potential application in the event of re-marriage. The fact the tick boxes have been completed on the petition is technically an application for financial remedies but in practice does not oblige the Court to take any steps to help you settle financial issues in divorce. in the absence of agreement resolved as detailed below, the Court only resolves financial issues arising from divorce if a separate application to Court is made on Form A. This is vital to understand, decree absolute in divorce itself offers no financial protection to either of you. You have not resolved your financial obligations ( subject to 3 below) simply by getting a divorce. a) Any widows benefits under the pensions you have are lost. think hard before seeking decree if your ex has a pension fund. you are likely to have a case for a pension share. Court statistics suggest only 11% of settlements involve pension provision. b) If the house is in the name of only one person, decree absolute end the matrimonial home rights of the non owning spouse. this is the right to occupy, it does not mean the non owner is prevented from seeking a property adjustment order to give him or her such right. See the comments on the recent case, Wyatt v Vince below. c) Any provision by will to a spouse lapses and they do not automatically have rights to estate in the absence of a will. Note, however, if you own the house on what is called a joint tenancy , death will automatically transfer the house to the other owner regardless of marital status. If you do not understand the last sentence, you need a solicitor. In addition, it is possible to seek provision similar to a divorce settlement on death under the Inheritance ( Provision for family and Dependants) Act 1975 even though divorced and the will makes no valid provision. a professionally divorce settlement will exclude this possibility if appropriate. 4. Before an application in Form A can be filed, the court rules require the applicant to attend a mediation intake session unless an exception applies. Solicitors can ease the way to a settlement if you choose a solicitor specialised in dispute resolution methods, including mediation or collaborative law. To search for a suitably qualified lawyer, visit the Resolution website. Such methods can help you to keep your affairs private and allow to control your own future, rather than hand it over to the decision of a judge or leave it at risk of future claim as happened to Mr Vince. 5. The only way to have a water tight settlement is by order of the Court. Sometimes the Court will apply the terms of an agreement it is asserted has already been reached but note well that this will never be the case if the agreement was not reached through the instruction of a solicitor. if representing yourselves and you have reached an agreement, you must put it into a proper consent order and seek approval by the Court after decree nisi in the divorce. 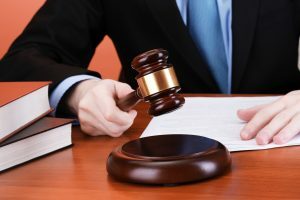 The duty of the judge on approving a consent order or considering a disputed finance case, is to reach a fair and just outcome with regard to all of the relevant circumstances and in particular those mentioned in s25 Matrimonial Causes Act 1973. With due respect, if you have carefully invested your resources during the marriage, you should use a professional solicitor to resolve finances when you divorce. 6. There is no limitation period on claims for financial relief, they could be left for over a decade and you will be assessed based on your assets at that time, with due regard to the reason for the delay. If your ex has financial needs at that time they can link to the effect of the marriage ( eg care of children or failure to accumulate a pension because you had one) then your fattened up assets are vulnerable. In 2015 the Supreme Court dealt with an application to strike out a financial claim 19 years after the divorce. The application was dismissed and the husband is both likely to have to settle with his ex from his newly acquired wealth ( they had nothing when they divorced) and has been funding her solicitor under a legal services order through the case. search the case report called Vince v Wyatt 2015. A professionally drawn clean break order 19 years ago would probably have cost the husband about £300. Legal costs in this case are already hundreds of thousands and it continues. This article was added on Wednesday, November 25th, 2015 at 10:21 am and is categorised under collaborative law, Divorce, divorce finances, Family finances, Family Law, Macclesfield News, prenups, Warrington News, Winsford News. Both comments and pings are currently closed. Error: Error validating access token: Session has expired on Saturday, 09-Mar-19 13:12:58 PST. The current time is Thursday, 25-Apr-19 10:09:07 PDT.